Timisoara has a bit of everything for all art lovers. 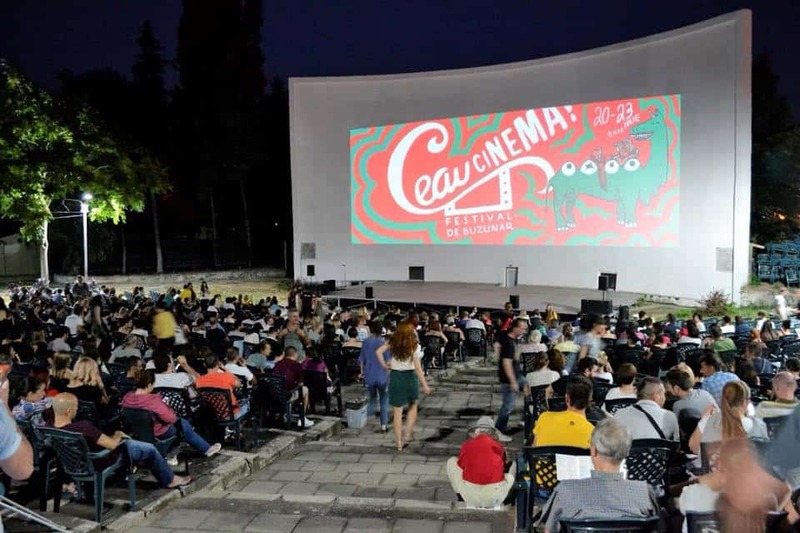 If you would like to enjoy a good European film while in Timisoara, we have a recommendation for you: Ceau, Cinema! A young festival in a city with very few cinemas, Ceau, Cinema! is organized by two local associations: Marele Ecran and Pelicula Culturală. It is the first festival in Timișoara entirely dedicated to European film. Ceau, Cinema! (roughly translated as “Hello, Cinema!”) has branded itself as a “pocket film festival”. Why – you ask?! The festival has started out as a small independent film festival. When first planning the festival, the organizers had no idea whether such an event would appeal to the local audience – they have therefore decided to start small. However, the film festival has started to outgrow its pocket, as the festival has been growing with each edition. 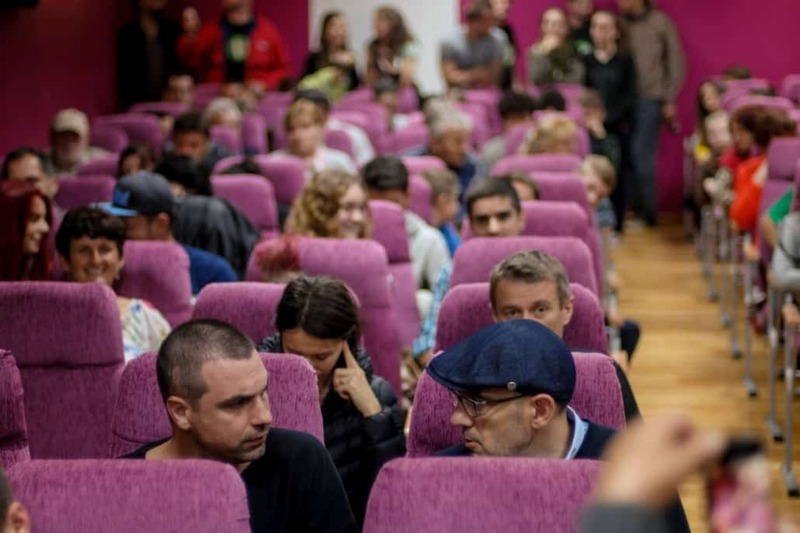 The first edition took place in 2014, with 4 days of workshops and screenings in Timișoara and Gottlob (a village near Timisoara that is proud to own the first restored movie theater in Romania’s countryside). We believe that a film festival focused on promoting good European films was necessary in a big city like Timisoara and we are thankful that this festival has given us an opportunity to spend some of our summer days watching good films and eating watermelon (more about that later!). The festival has stayed true to its mission for the editions it has hosted so far, at the same time gathering more and more movie-lovers each year. Ceau, Cinema! screens those high-quality films that are not normally played in a multiplex, attracting an audience that has no other contact with such films but at home. But it also promotes young talents. Ceau, Cinema! hosts a competition for young film-makers, allowing them to showcase their work while receiving feedback from an expert panel of judges. As we have already mentioned, Ceau, Cinema! is not your average film festival. The team behind the festival has managed to make their festival stand out right from the start. 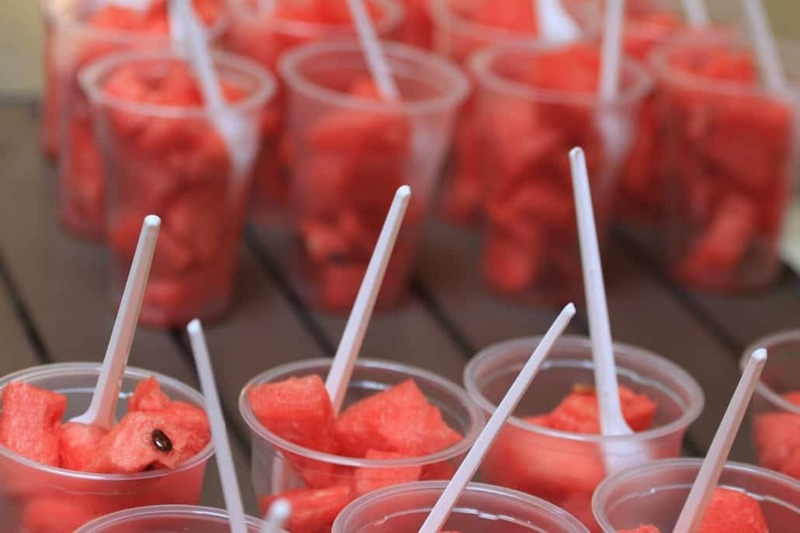 Since the festival traditionally takes place in July (when it’s pretty hot in Romania), the screenings are not accompanied by popcorn (as you would normally expect), but by watermelon. That is because some of the events take place in the local cinema in Gottlob, a village about 50km away from Timisoara. This is the first cinema in rural Romania that has been renovated and is now fully functional. And the team behind the festival has done a great job at promoting the village, its people, and its watermelon. In addition to having a functional cinema, the village of Gottlob is also famous in the region for having a tradition of growing yummy watermelons. And Ceau, Cinema! is the perfect opportunity for the villagers to showcase and sell their harvest. This is a very good example of how an art-loving community can support the local communities they interact with. Plus, watermelon is healthier than popcorn! I want to see some good European films and eat some watermelon. How can I do that? Unfortunately, we only get Ceau, Cinema! once a year, for four days. But if you don’t have any plans for July yet, you are in luck! The 5th edition will take place between July 19th-22nd 2018. This year’s edition is dedicated to rediscovering Romania’s “golden era” (as the communist times are often ironically referred to) and to the fall of communism in Romania. This is not meant to “celebrate” that era, but to have an objective, maybe even amused look at it. A ticket for the whole festival costs 45 RON (about 10 Euros), while a ticket for just one film will cost 10 RON (about 2,5 Euros). For tickets and updates, just follow the official Ceau, Cinema! event on Facebook. Music lovers, this article is for you! While tourist attractions are nice and our city has a lot to offer, we know you sometimes just want to plan a night out! While nightlife in Timisoara is abundant (more on that in a future article), we dedicate this article to those who love live music and want to find good concerts in Timisoara. If you’re visiting Timisoara and are not sure where to go out for live music, search no more: Reflektor Venue is here! 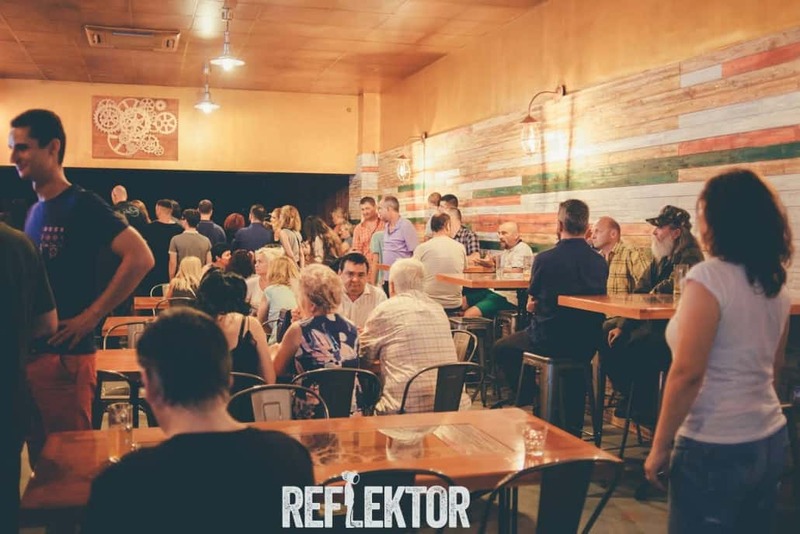 Reflektor Venue is a laid-back place that you can visit either to grab a beer with your friends or to enjoy a live show. Or both! 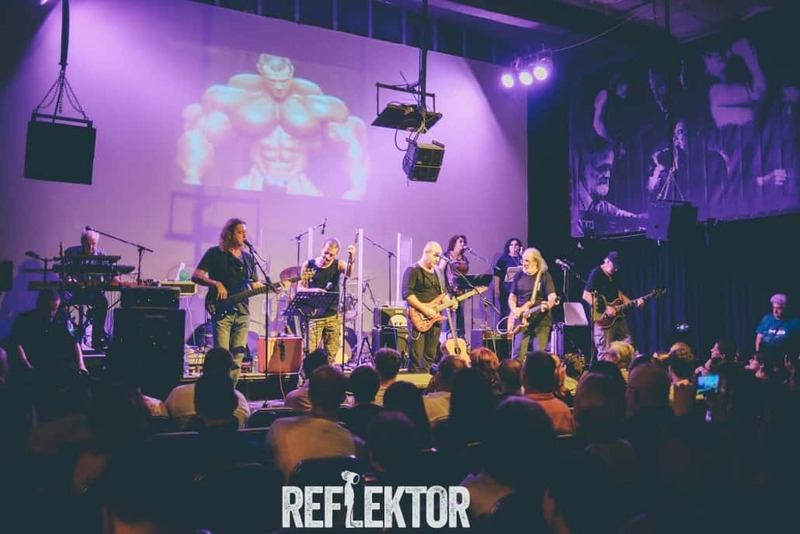 It opened up in Timisoara in 2018 and has fast become one of the most loved concert venues in Timisoara – not only by locals but also by foreigners. Since they have opened, they’ve hosted various types of events, parties, theatre plays, stand-up comedy shows and, most importantly (and our favorites), live concerts! The place itself is pretty casual, perfect for a “chill” night out and – most importantly – their concert room is well-equipped. They know that flawless sound is important for a great live gig. The greatest part about this venue is that you never know what great concert you might find on their list. Their events are various, but they do have something in common: they are good. Live concerts vary from metal to alternative rock to blues concerts, so no matter your musical “poison”, they probably have an event or two planned for you. The venue’s Facebook page is frequently updated with information about upcoming events, so do check it out to start making some “night out” plans. Their past “lineup” includes local bands from Romania but also artists who are touring around Europe. We’ll just name a few of their past events to get you even more curious: Ben Caplan and the Casual Smokers (Canada), Vita de Vie (Romania), Planet of Zeus (Greece), Marko Mendoza (US) etc. How to reach Reflektor Venue? You can find their address below and don’t worry, though the location isn’t exactly central, a taxi or an Uber will take you there for less than 18 lei (about 4 Euros).